Mark Stayton is our minister of worship and leads a blended worship experience drawing on the rich traditions of the past while valuing the body of work God is inspiring today. Our choir shares special music and cantatas throughout the year. Mark has served three other churches in the Midwest before coming to our church in 1978. He holds a B.A. degree from Bethel College. Mark and his wife Jenny have three children and four beautiful grandchildren. Debbie Aldeen is our Church Bookkeeper and Christian Education Coordinator. She has a heart to serve God’s people and does so in many different ways. Debbie has served in several ministry positions within the church and brings a fresh and interesting perspective to each ministry in which she participates. We are so thankful to have Debbie on staff. She has been dedicated servant and is truly a woman of God. Debbie lives here in Kingsport with her husband Mark, and has three adult children. Juanita Starnes, Kingsport Community Church’s secretary, is a native of Kingport, Tennessee. She attended ETSU, and worked for 25 years at Holston Valley Medical Center. Juanita is also a retired realtor. She began attending Kingsport Community Church in 2003, and has been on staff since August of 2005. Rev. Bob Rothman brings rich experiences to our church as a minister. After graduating from Vanderbilt School of Theology he served in the USAF as a career chaplain. He rose to the position of full Colonel before retiring. He and his wife Rowena, who plays organ in the church, own a farm in Hancock County. He sings in the choir and teaches a Sunday School class and often fills the pulpit. Associate Pastor, Brian Ricketts and his wife Rebekah with their three sons love being a part of the Kingsport Community Church. Brian attended Berea College where he graduated with a B.S. in Biology. Brian is ordained by the Church of God Ministries of Anderson, Indiana and serves as an associate pastor here at Kingsport Community Church. He believes in the saving power of the message of Jesus Christ and the ability to live out what we learn through biblical teaching. Michael Smith is our Student Ministry Director and Online Media Coordinator. 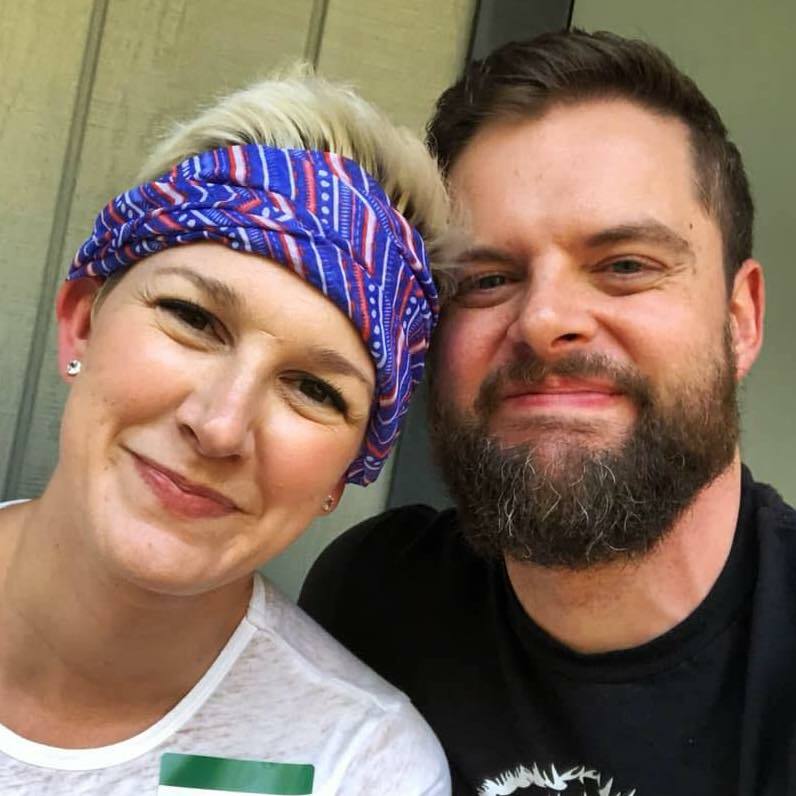 He is passionate about leading our Student Ministry with his wife, Chelsey and helping students from grades 6 to young adults grow in their faith. Michael also leads our Vision/Dream Team and works to coordinate our online media communications including the church website and social media channels. He is a Web Developer at Mark III Employee Benefits and owns his own digital marketing agency located here in Kingsport. Teresa Anderson has led our Children’s Ministry program since 2007. She has been a member of this church for several years and teaches Sunday School. Teresa finds great joy in spending time with our kids as they share God’s love and experience the wonderful stories of the Bible together. Teresa holds an A.A.S. in Accounting from Northeast State Technical Community College. She lives in Kingsport with her husband, Chris and two daughters. 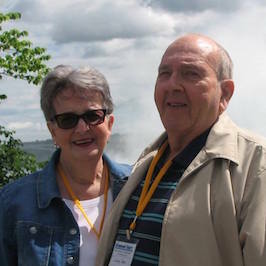 Larry and Doris Gaw, Chairpersons of the Adult Fellowship, moved to Church Hill from Anderson, Indiana in December of 2007. Both are life long members of the Church of God. Doris was raised in the Goshen Valley CHOG and Larry was raised in the South Meridian CHOG in Anderson. They love people, love fellowshipping together, and love the Lord even more.